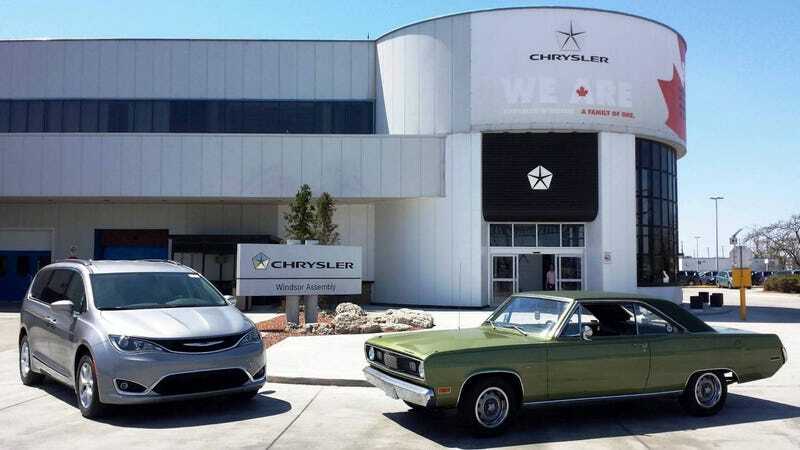 It was a year-and-a-half ago that I drove my 1971 Plymouth Valiant Scamp to the factory where it was built. Not coincidentally – I planned it – the car crossed the 100,000-mile mark on the odo as I rolled into the parking lot. But I didn’t get around to publishing the story on my adventure – you can read the full thing here, on my website – until this July. And there’s a simple reason why. Being an editor of one of Canada’s best automotive websites is not a bad gig, but it doesn’t leave the time it used to for writing the stories I want to write. Now I spend most of my days proofreading; posting to social media; coordinating sponsorship campaigns; fixing technical glitches; and trying to sort out our budget. Geez, I miss not having to do all those things. The other thing that’ll free up my time? Yesterday I drove the Scamp to one of the last car shows – in Dunnville where I bought it – that I plan to take it to this year, and will be putting it away for the season end of October after some final maintenance gets done (speedo cable lubrication; rear parcel shelf restored to stock; correct ‘71 wheel center caps installed). With luck, you’ll see me post here a lot more often soon. In the meantime, it’s back to the grind.